I know it sounds funny, but I just can't stand the pain, girl. I'm leaving you tomorrow. Seems to me girl, you know I've done all I can. You see I begged, stole, and I borrowed. Ooh, Yeah. That's why I'm eeeeeeasy. 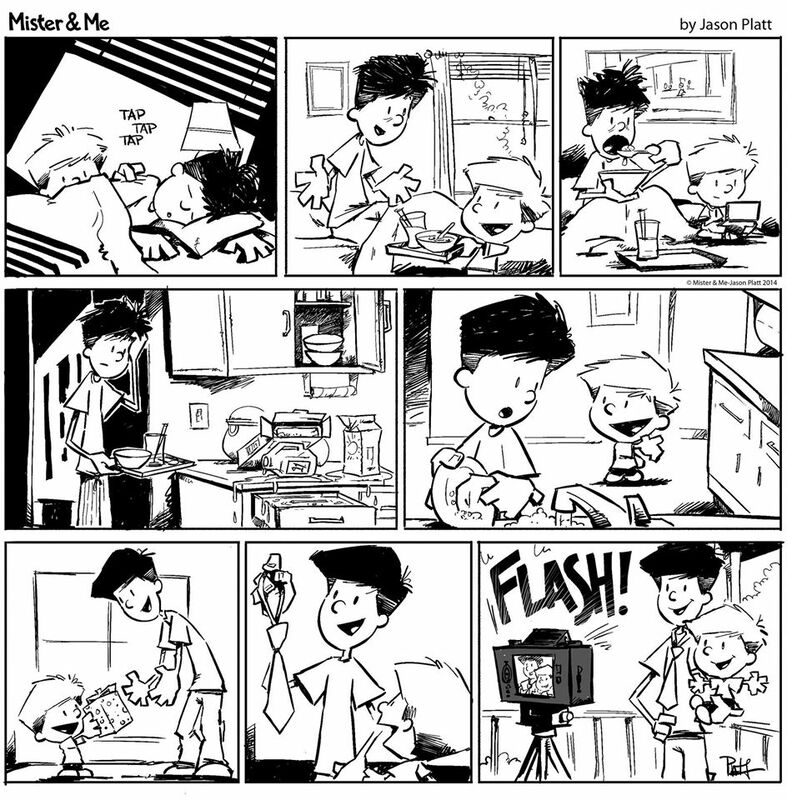 I'm easy like Sunday Morning Comics. That's why I'm eeeeeeeeeeeeeeeasy. I'm easy like the following interview, with my mate Marc. 1) What are your own origins, Marc? Well, it started a few thousand years ago. A time that most of you don't know about. A time many never heard of in a planet far far... Oh, sorry. 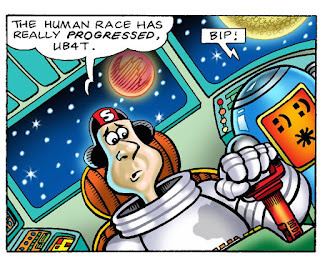 You mean the origins of The Sunday Comics and how I helped bring it to fruition? That's a much shorter story. I've been an avid comic reader for over a decade, at a time I read every DC and Marvel book weekly, and as Image grew, I expanded into a lot of the "Indie" comics as well. However, my first love was when my dad brought home a Sunday Newspaper. Getting to read Dennis the Menace for the first time reminded me of myself, from that day forward my parents always called me their little menace. Since then, I haven't changed much surprisingly, just have some more ideas and got taller, so there's that, you know, how some people will actually take me seriously because I'm not 5 anymore! 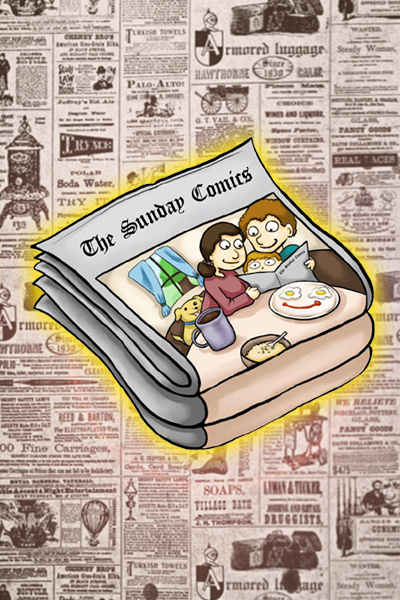 2) What inspired the creation of ‘The Sunday Comics’? The creation of The Sunday Comics stemmed from many things to be honest. It was my last year at The Ohio State University, and I knew that I wanted to do a startup business. Had been toying around with different industries for years and had my fair share of successes, and failures too, which were actually more important than any success I ever had. I learned from the mistakes I made and what not to do to make The Sunday Comics a real success. I had a pretty unconventional college career, studied Business but my focus was on Film, Entertainment, and Popular Culture. Most of my classes were either in History of Animation, Technology, or Comics. 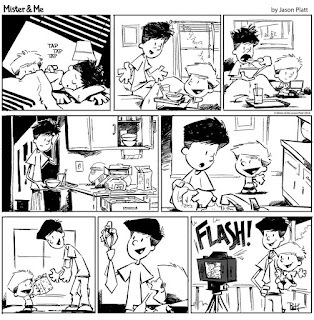 A combination of school, reading comics literally everyday (and staring at them in every corner of my house from my nightstands to desks to bathrooms) this was really truthfully bound to happen. What can I say? I love comics, I love reading them, and I love writing them (I can't draw, and its not a "not yet" type of thing, it just wont happen). Visions are an important part of life, the future of The Sunday Comics is going to be a thing that will blow people out of this world! Come watch us as our vision unfolds! 3) Can you briefly tell us what its all about, plus who’s involved? What's it all about? Oh man, okay here it goes, I'll condense it since you can see I love talking. 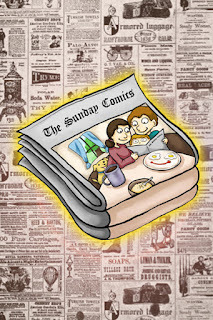 The pitch is this: The Sunday Comics is a publication printed as a newspaper and hardcover book. 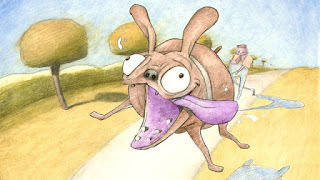 The publication includes over 200 artists with over 200 pages of full color content. The sizing of the publication is 15” by 22” inches, bringing back the traditional U.S. Broadsheet paper size. Now do I need to say more than that? No? No I don't? If the reader wants to know more they can easily check out the press release by clicking here? Phew! Thanks for that. 4) What song would you say best represents your project and why? Ouch! I'm going to have to consult Rachel on this one. The other Founder here is stumped too. We listened to a ton of movie scores to "relax" on our 20+ hour days working on this, does that count? No? Cop Out? Okay. Let's think a bit harder. ALRIGHT: Rachel has it. "A Call to Adventure" by Kevin MacLeod. Listen, I know you're going to ask why so we'll just tell you. It's the background music to our Kickstarter video. The reason it's so special to us is because it has a funny story behind it. We had over 7 hours of footage (over 3 months of filming) for the video, editing it down to 7 minutes was a chore, imagine cutting it down to the 4 now? Well, honestly it came together the last night when we just plopped in this song and everything just flowed so amazing. It was amazing, inspiring that our video matched to music! 5) If you could get a celebrity – either living or dead – to promote your wares, who would you choose, and why would you want to choose this particular person. There's 5 people that we would choose to bring back, but not just to sport our wares and help advertise, we just miss all of them so much. We'll even tell you why for each one. (1) Walt Disney - This should give everyone a big hint of what our plans are: Walt's model was brilliant, people always look at the beginning of his Bankruptcy, but looking back, if that didn't happen, who knows where the world would be today. He inspired the world from all of his creations, to his innovations at the World's Fair to the legacy he's left to inspire thousands of others. (2) Windsor McCay - Little Nemo in Slumberland was one of the first animated movies I had ever seen. Everyone remembers that movie from back in the 1990s or so. Well not only did that movie give me crazy nightmares, but it made me look into my dreams as a way to draw ideas and come up with amazing new concepts that sometimes can only be dreamed of and not imagined. (3) Robin Williams - I was on a Study Abroad program Semester at Sea when the news broke. I was one of the only people with Cellular at Sea and when I found out, I just let out tears in front of whoever. Robin gave the world some of the best (I am tearing up talking about this) characters in the world. From everything to Jumanji to the Genie, he'll never be forgotten. He was someone that leaves that impact, you see him play more serious roles like in Good Will Hunting and you say to yourself "Wow! He's actually gone". Its truly heartbreaking and devastating to think about. Every time I walk into an arcade I think of how Genie would welcome everyone into Disney Quest's elevator, and now with the news that Quest is shutting down, I want to make the trip down to Orlando just to experience that one more time. (4) George Carlin - I would say let's be a little bit more light hearted, and hey, George knew it was coming, but so soon? Never. I have to call out my Mom on this one. I always joke with her that I'll never forgive her for this. We had tickets to George Carlin's last show, front row, I was excited beyond belief, then a snow storm or something crazy hit and we couldn't drive. Well, we should have, because that was his last show ever. Nowadays I watch it on TV and say, wow, there's the two empty seats. It's nice to pretend that I was still there in spirit. (5) I'm handing this one off to Rachel, as no one wants to hear me go on and on. Apparently, Rachel is deciding to bring Disney back from the dead again, so he's on the list twice. Why? 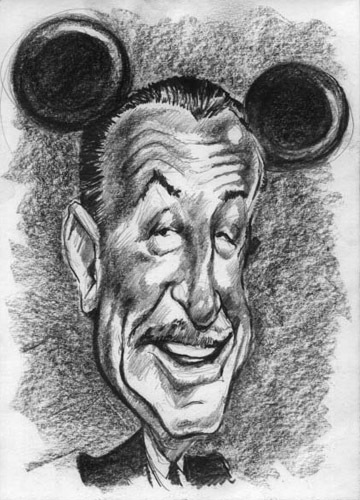 Well because he's WALT DISNEY. Do we need to say more?! 6) What have you learnt about yourself through this endeavour? And were their any unforeseen obstacles you had to contend with along the way? Oh boy, what have I learned about myself through this? Honestly, not to toot my own horn, but that I'm one of the hardest working people I know. I'm working most days from 8 to 9AM and going till 5AM, sometimes without eating (everyone yells at me for that). I literally just sit at my desk (which is plastered with just cookies and cheerios) for days on end, sometimes just sleeping in my chair. What I probably should say I learned is to eat healthy and stay in shape? But you said be honest, I learned that to succeed you can't sit around the whole day and do nothing, you have to sit and actually do things! The only main obstacles we've really had to deal with thus far is a restriction on time. There truly isn't enough time in the day and we're short handed... Interns anyone?! 7) During your time in this field, what is the one thing that has kept you in good stead? There's three things that has kept me in good stead while working on everything. One: Seeing the content as it comes in is something that I look forward to everyday, the stories and art are just something that we can't wait to share with the world. Two: One of the best parts of my day is getting to form a relationship with a new creator or two everyday. I set aside time everyday whenever some of the artists and writers are available to Skype or hop on the phone. We want everyone to know us and we love hearing their stories and how they got involved, what they love about The Sunday Comics and just chatting about life and the future. And Three: Without Rachel this never would have been able to work. We've been dating for over 4 years now, and she's truly unbelievable. She's like my partner in crime, we work amazingly together. Sure we have some disagreements but there's always a solution within minutes and nothing is ever taken personally which is really what makes this partnership amazing! 8) If ‘The Sunday Comics’ had a motto, what would it be? How about, "A part of Sunday you can enjoy everyday!" catchy? Yay? Nay? I can keep them coming all day but I'd love to see in the comments section some suggestions on our motto, how about "A new twist on an old classic" brilliant? We're getting there. Either way, I want to thank you David for having us on and can't wait to come back another time. This was a lot of fun, thanks so much again! Well, you heard the man. Come on people, suggest a motto for The Sunday Comics. And while your at it, don't forget to follow them on facebook and twitter. Many thanks.